The following post was brought to us by Calgon Carbon, and provides an in-depth look at how activated carbon filtration systems work. 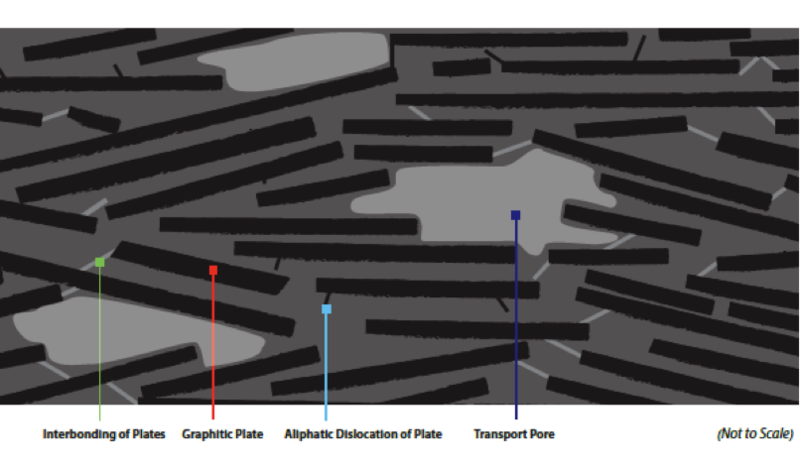 Granular activated carbon (GAC) is a hybrid mixture of a wide variety of graphite platelets that are interconnected by non-graphitic carbon bonding. The adsorptive capacity of GAC makes it ideal for removing a variety of contaminants from water, air, liquids and gases. GAC is also an environmentally responsible product that can be reactivated through thermal oxidation and used multiple times for the same application. 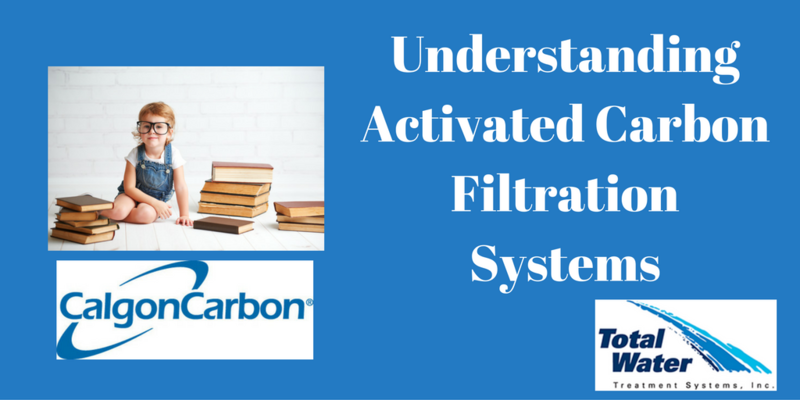 In this post, Calgon Carbon will help to explain granular activated carbon and the importance of properly maintaining carbon filtration systems. These materials are converted into activated carbon by either thermal or chemical activation processes. 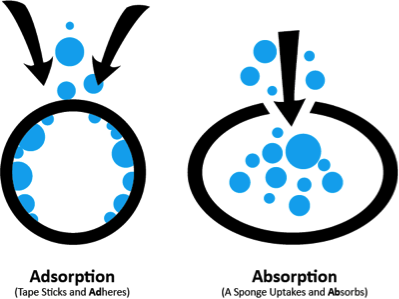 Adsorption is the adhesion of the molecules of liquids, gases, and dissolved substances to the surface of solids via physical or chemical forces. Adsorption happens when one or more molecules attaches or “sticks” to the surface of a solid substance (in this case, carbon). Carbon has a highly porous nature, which provides a large surface area for contaminant molecules to collect. It allows the rest of the sought-after molecules to filter through. Activated carbon is used to treat a variety of different contaminants. In this post, we’ll focus on chlorine, chloramines and trihalomethanes (THMs). Chlorine is highly effective in controlling harmful bacteria in water. However, the chemical forms compounds called disinfection byproducts (DBPs), which can be harmful to human health. Some water utilities have chosen to switch to a different disinfectant, chloramines, in order to comply with U.S. EPA regulations, as chloramines form lower levels of the regulated DBPs. Chloramines, though, while not forming as many DBPs, do form DBPs that are more toxic than those currently regulated. 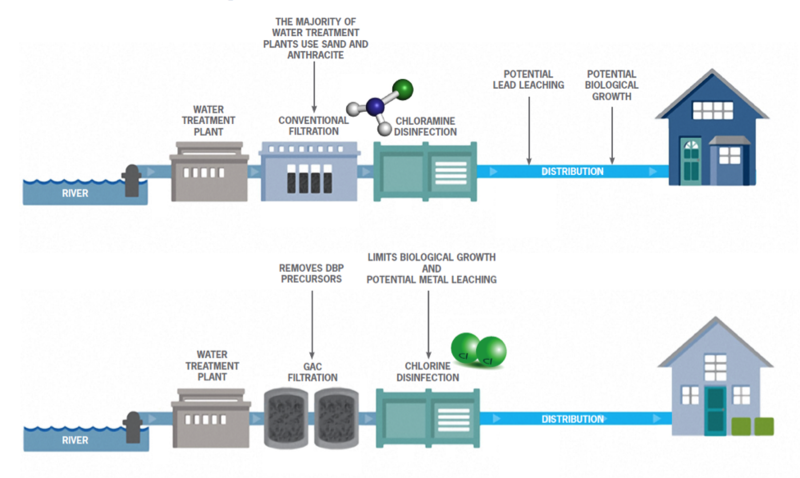 Chloramines can change the water chemistry from the treatment plants to homes, which can result in elevated lead levels in drinking water if not properly controlled. These DBPs are formed when chlorine or chloramine, interact with natural organic matter (NOM) present in water. GAC is very commonly used to remove THMs from water sources. DBPs have been linked to a number of human health concerns and are regulated by the U.S. EPA. The figure below demonstrates how the installation of a GAC treatment system can prevent the formation of DBPs. One material commonly used to make granular activated carbon is lignite coal. Compared to other coal, lignite is softer and lighter, which gives it many large pore spaces during the activation process. The wide and open pore structure makes lignite based activated carbon most effective at removing large or bulky organic molecules. Another commonly used activated carbon base material is coconut shell. Coconut is very hard and dense, so it achieves many smaller pores during activation rather than the larger pores seen in lignite. The tighter pore structure of coconut based activated carbon make it most effective at removing small or high energy organic molecules. Bituminous coal is also frequently used as a starting material for activated carbon. Bituminous coal is denser than lignite coal but softer than coconut; as such, it has a combination of both large and small pores after activation. This wide range of pore sizes makes bituminous coal based GAC effective at removing a range of organic contaminants of many sizes and shapes simultaneously. GAC can be made from many different starting materials to remove a variety of contaminants, but regardless of the type of activated carbon or the application in which it is placed, GAC must be recycled or replaced periodically to ensure that the target compounds will be effectively treated. While GAC cleans and purifies liquids and gases, its effectiveness diminishes over time. As organic compounds are adsorbed, they take up space in the porous structure of the activated carbon. Eventually there will not be any room left on the activated carbon for contaminants to be held. When this happens, the GAC must be removed and replaced so the system can continue to function as desired. To better maintain carbon filters, it is recommended that core samples be taken once per year. The purpose of the procedure is to collect an accurate sample from the core of the filter. The GAC can then be tested for residual activity, which is determined using an iodine number test. Historical data suggests that once the iodine number is between 450 and 550, the GAC should be reactivated or exchanged in the near future. One of the most unique aspects of granular activated carbon is that it can be recycled after it becomes fully loaded with contaminants. Through a process known as “reactivation,” the adsorbed contaminants are removed from the GAC by exposure to extreme temperatures. With the contaminants removed, the adsorptive capacity of the activated carbon is restored and it can be placed in service to continue purifying liquid and gaseous streams.